America, as a whole, usually isn’t interested in college basketball until at least Thanksgiving. This year, that would seem to be the case again. Yet with everything going on in our world, maybe now is the perfect time to welcome back the madness, the passion, and the excitement of our wildest sport. As our country tears itself apart at the seams politically, the NFL squanders its perfect position atop the food chain of athletic entertainment, and we impatiently wait for new episodes of Game of Thrones, there’s nothing we need more than college hoops. Starting tomorrow, it doesn’t matter what color each county in Wisconsin was as John King tapped around the state on CNN the other night. When the Badgers take the court, everyone will be wearing and cheering for red. And when the NFL puts another dud game on during a Monday Night, change the channel and find some hoops. Whip out your tablet or fire up the apps on your TV. Starting tomorrow, there will be some basketball on somewhere, and I’d bet it will be pretty good too. Don’t turn your nose up at small schools or lesser conferences or West Coast teams you don’t care about. They are what make college basketball even better. When you can’t scroll your Facebook or Twitter feed anymore, seek out basketball coverage. I’d love for that to include this site, but it doesn’t have to. Go to ESPN.com, SBNation, The Vertical, KenPom, Rush The Court, Sports Illustrated, The Ringer, or your someone who covers your favorite team. Learn about the game and the kids playing it at 351 Division I schools across the country. College basketball is back. Let’s embrace it. The AP Top 25 Poll is out and there’s a lot to be intrigued by at the top. Here’s a breakdown of the top 10 teams and what to look for as they take the court. 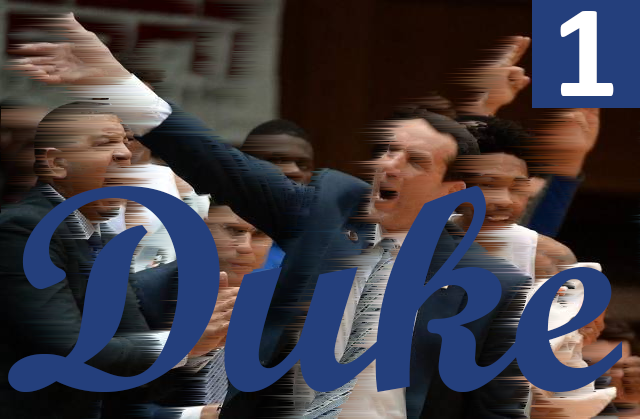 The rotating cast of hard-working, floor slapping Dukies are back for Coach K, notably Amile Jefferson, Luke Kennard, Matt Jones, and Grayson Allen. The National Player of the Year race is certain to feature Allen’s name, as he’s capable of scoring 30 on any given night. It may take some time for Duke to assimilate the youngsters into an offense that is sure to run through Allen’s playmaking abilities. With Coach K at the helm, this should happen pretty seamlessly by the time the Blue Devils are playing meaningful ACC games. Speaking of one-and-done freshman, Big Blue Nation remains the king. If there’s one name on the Wildcats’ roster you’ll recognize, it’s that of sophomore guard Isaish Briscoe. The broad-chested New Jersey native struggled to fit in last season as the third best point guard on a team that started three point guards. He was forced off the ball on one end and guarded small forwards ad nauseum on the other. He held his own on the defensive end, and showed flashes of brilliance when he actually covered guards, but never found his niche on offense. Cut to 2016 and…John Calipari did it again. Briscoe is joined by two new super freshman guards, Malik Monk and De’Aaron Fox. Another crowded backcourt at Kentucky, another season of SEC guards getting absolutely harassed all over the floor, but questions about fit in Lexington. 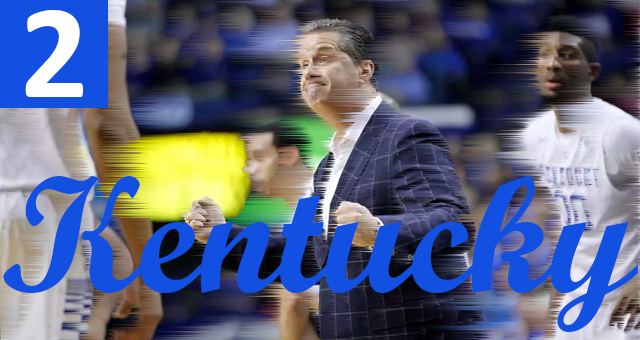 More importantly, Coach Cal has his hands on another gamechanging big man. Bam Adebayo will be a force for Kentucky this year, constantly taking things up another notch. Bam! Of the three teams we’ve discussed so far, none features a better mix of returning production and incoming talent. Josh Jackson and Udoka Azubuike may well be the best 1-2 punch of freshman phenoms on one campus this year. Jackson is the best reason to watch the Jayhawks this season, especially if you’re an NBA fan. He has the body, and the game, to be the top pick next June. Rims across the country should fear his wrath. 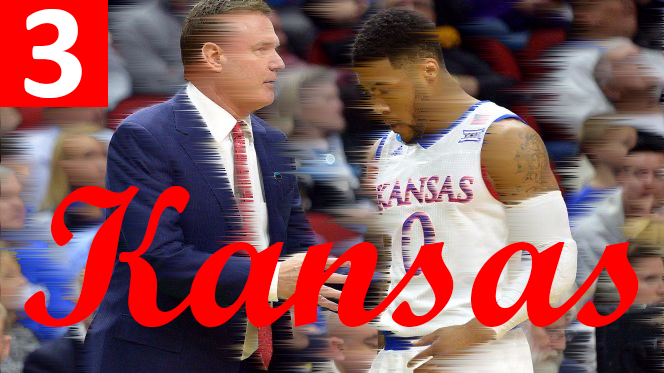 Add in veteran leadership, feisty defense, and the steady hands of Frank Mason and Devonte’ Graham, and Bill Self has eyes on another Big XII title. Palestra Back favorite and Ukrainian standout Sviatoslav Mykhailiuk hasn’t impressed much in two years in Lawrence, but is still only 19 years old. With some experience under his belt, this could be his breakout season. The X-factor for Self could be senior center Landen Lucas. He’ll do all the grunt work in the paint for a team with plenty of ball-handlers. This year, when Lucas puts a double-double in the box score, there’s a good chance Kansas comes out on top. The champs return with as good a chance to repeat as any team in recent history. Ryan Arcidiacono and Daniel Ochefu are gone, though shouldn’t be too difficult to replace. 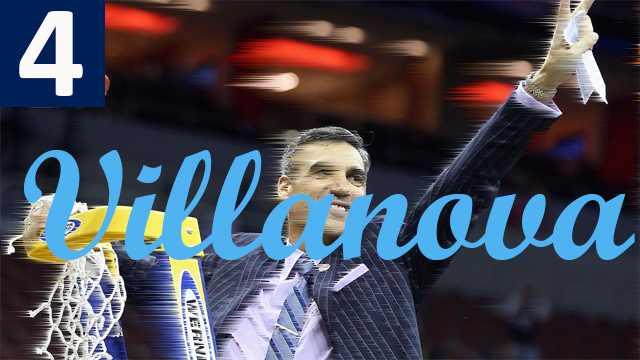 That last sentence may have made half of Nova Nation clutch their pearls and declare me a blasphemer, but Jay Wright has built a program capable of withstanding significant departures. Josh Hart might be America’s most complete player, Darryl Reynolds ably stepped up during Ochefu’s injuries last season, and a Jalen Brunson-Phil Booth backcourt is capable of both scoring and distributing. Add in last season’s hero, Kris Jenkins, and Wright’s team is the class of the Big East again. Only two things stand between ‘Nova and the cream of the crop. First, they’ll miss Omari Spellman, a talented freshman that would have made everyone’s lives easier, but was ruled ineligible by the NCAA. Second, repeating that magic is really difficult. Kris Jenkins being benched for a scrimmage against Division II IUP for not making his weekly weight goal isn’t a good sign if you’re hoping the Wildcats can shake a championship hangover. 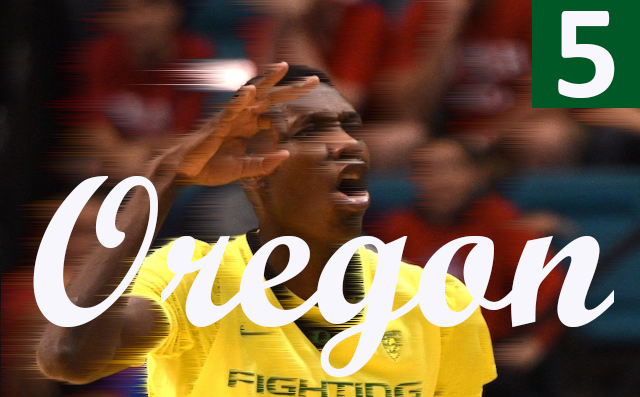 Last season, Oregon played the role of “West Coast Team Who Is Really Good, But No One Cares”. And they are poised to repeat that title this year. Most of their relevant pieces return, many of whom are expected to take a step forward this season. Tyler Dorsey and Chris Boucher had good seasons last year, but flashes of real talent showed they could bloom into even more this season. Boucher is built like a piece of salt water taffy, with arms that allow for smothering defense and unconventional playmaking on offense. Case in point: he finished last season with the 6th best block rate and 16th best 2-point shooting percentage nationally last season. The Ducks add former Villanova guard Dylan Ennis to the fray, capable of top level defense and tough buckets when they’ll need them. If you didn’t catch a very good Oregon team many times last year during the regular season, pencil them in a few times this season. They could be really good. UNC returns most of their runner-up team from last season, though Brice Johnson and Marcus Paige are notably absent. With more freedom, more opportunity, and a year of growth, the Heels are counting on Joel Berry, Kennedy Meeks, and Justin Jackson. It’s an interesting proposition, considering just how little damage the supporting cast provided for Johnson and Paige at times last season. Jackson will be the key. He played out of position at times last season, next to Johnson and Meeks in the frontcourt. He’ll look to use his size and guard skills to exploit more mismatches this season for buckets and trips to the free throw line. 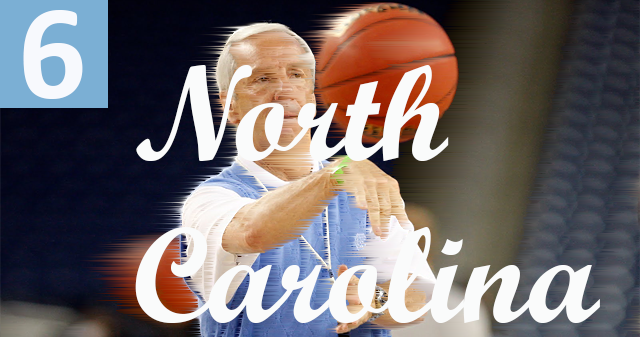 Roy Williams will attempt to replace his outgoing scoring with freshman talent, namely in center Tony Bradley and guard Seventh Woods. Yeah, his name is Seventh. Most of the Musketeers are back, but seeing Edmond Sumner return after a fantastic freshman season is the real headline here. Sumner is still only listed at a lanky 6’6, 186 lbs after being downright scrawny last season. The Muskies will struggle with size against certain opponents, but Sumner will be the metronome. As he goes, so too will Chris Mack’s squad. An early troubling sign for the X-Men? Senior Myles Davis was suspended indefinitely and will leave the program. He averaged 10 points and 4 assists last season, leaving a hole in this year’s lineup. 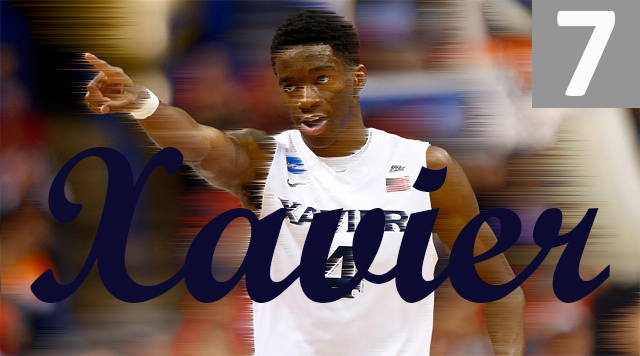 They likely figure things out, but with Davis would have been a greater threat for a Big East or national title. A few weeks ago, I posited the theory that Virginia never gets new players, it’s just the same guys every year in new wigs with new names. That sounds like a joke, yet the Wahoo Machine in Charlottesville keeps on chugging. 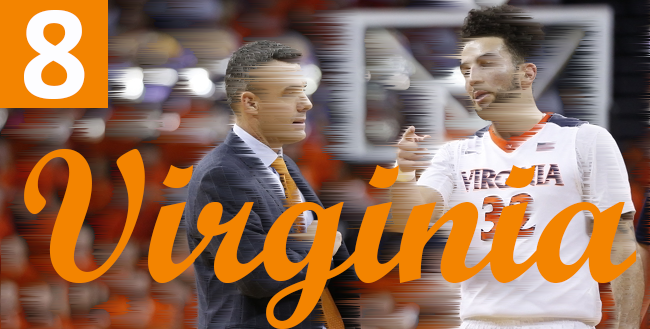 Tony Bennett’s team will work for the best shot they can get every single time down the court, defend your pants off, and win games with scores that look like Big XII football totals. My biggest worry about the Cavs is that after years playing beside Justin Anderson and Malcolm Brogdon, London Perrantes will be expected to step into more of a scoring role this season. 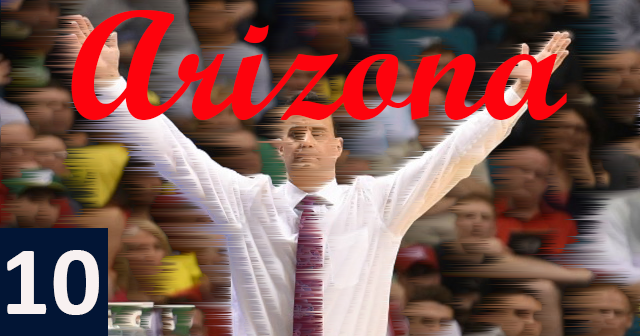 He shot a dastardly 48.6 percent from beyond the arc last season, good for 6th best in the country. He’s got a great stroke, but regression towards the mean is bound to occur, especially with more defensive attention being paid his way. How he handles that added pressure is the key question early on for Tony Bennett and his sqaud. Speaking of glacial-paced basketball, I’d like to extend a warm welcome back to the top 10 to the Wisconsin Badgers. Bronson Koenig and Nigel Hayes return for one more season, this time without having their coach retire midseason amidst a hurricane of adversity, upset losses, and question marks. Oddly, the Badgers are the highest ranked Big Ten team all the way down here at #9. They’ll have plenty of competition in the Midwest, but there’s not a team in the nation with two more reliable members of their lineup than the Badgers with Koenig and Hayes. Success in college basketball no longer depends on experience like it used to. Yet when playing such a deliberate style and playing in difficult Big Ten atmospheres, having two rock solid guys to rely on is more than a luxury. Swingman Allonzo Trier looks to build on his successful freshman campaign in which he averaged nearly 15 points per contest. Problem for the Wildcats: Trier is in the midst of some eligibility concerns and isn’t currently with the team in Hawaii for their big game with Michigan State. 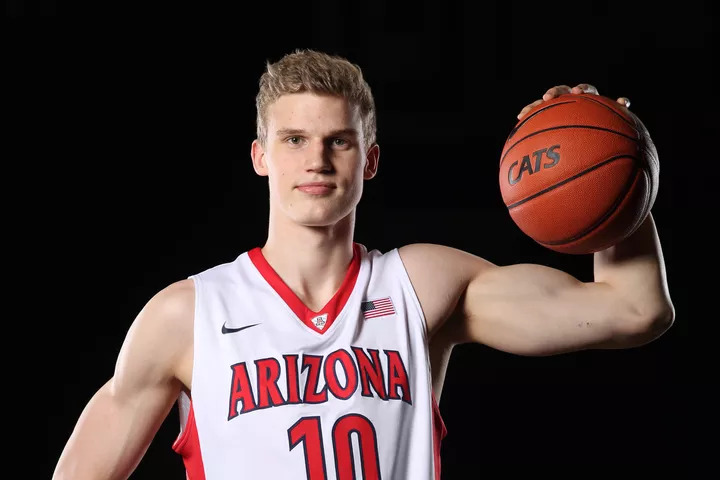 If he does return, he’ll be joined by large European teen and future Palestra Back March Madness All-Handsome Team nominee, Lauri Markkanen. The Finnish 7-footer is fluid and smooth. He’s capable of playing with his back to the basket or making an open jumper, though he really shines in the open court. He moves like a giraffe in a hurry, and knows what to do with the ball when he gets it. It could take some time for the import to assimilate to the college game, but prepare for a morning where you wake up and ask your Twitter feed, “Wait the kid from Arizona did WHAT?! ?”.